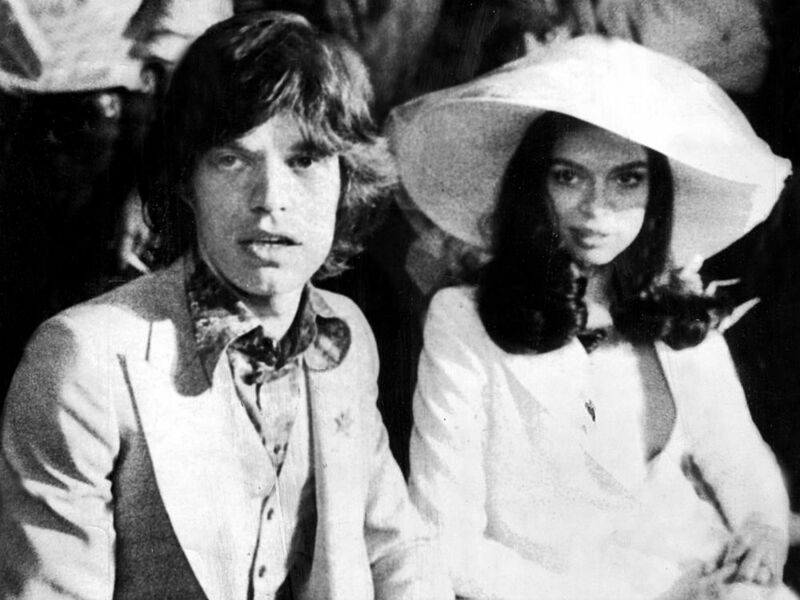 Forget long, floaty wedding gowns – Bianca Jagger gives us a lesson in power dressing for your wedding day – marrying rocker Mick Jagger in 1971 in a plunging blazer and skirt (with statement head gear of course). We love this white suit and black ribbon combo – perfectly paired with a simple straw hat for an elegant spin on this Annie Hall-esque look. 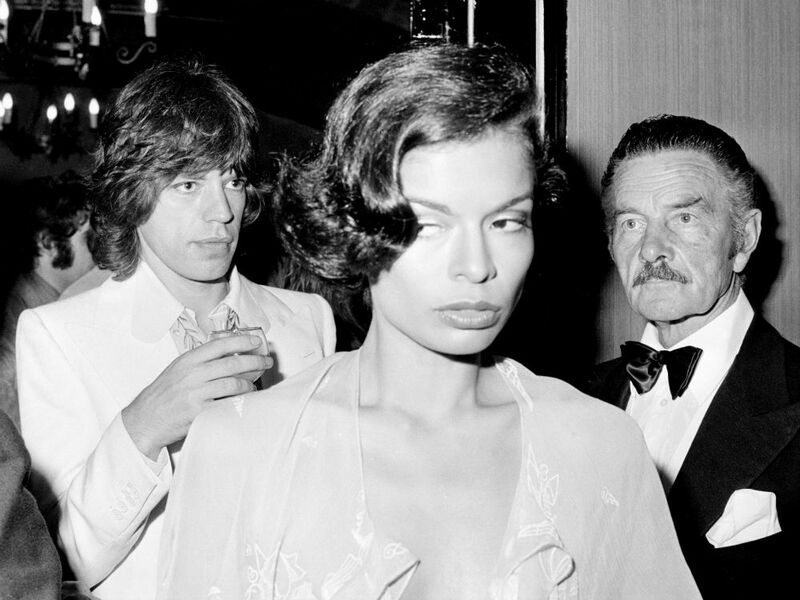 Bianca Jagger looks exquisite in donning a chiffon dress, 40’s wave hairstyle (and steely glaze) at a Rolling Stones party in 1973. 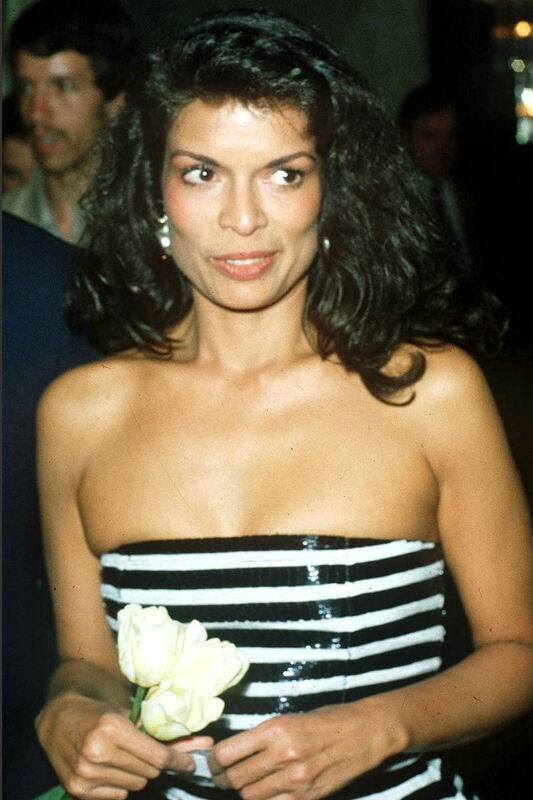 We’re totally in love with this Bianca Jagger look circa 1991. Seaside stripes + voluminous waves = winning look. 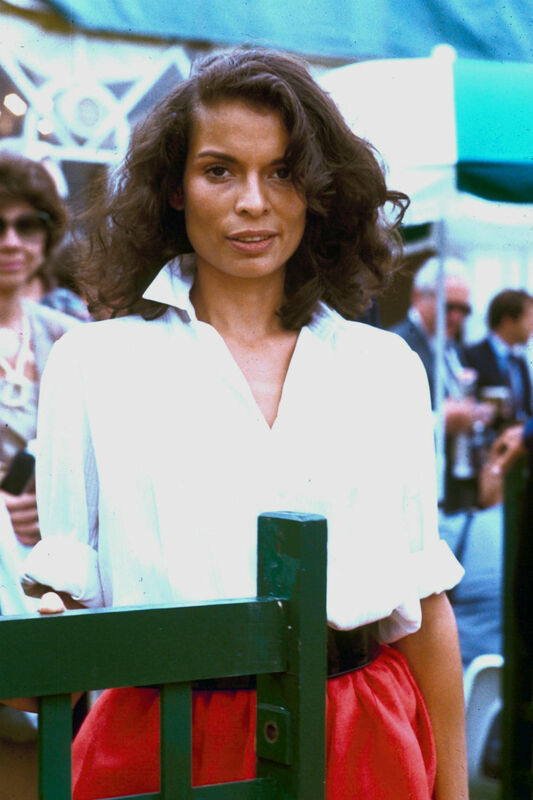 Working the nonchalant hair and elegant white shirt combo perfectly here – a master class in summer dressing. 80’s clothes have never looked so good – or so chic. 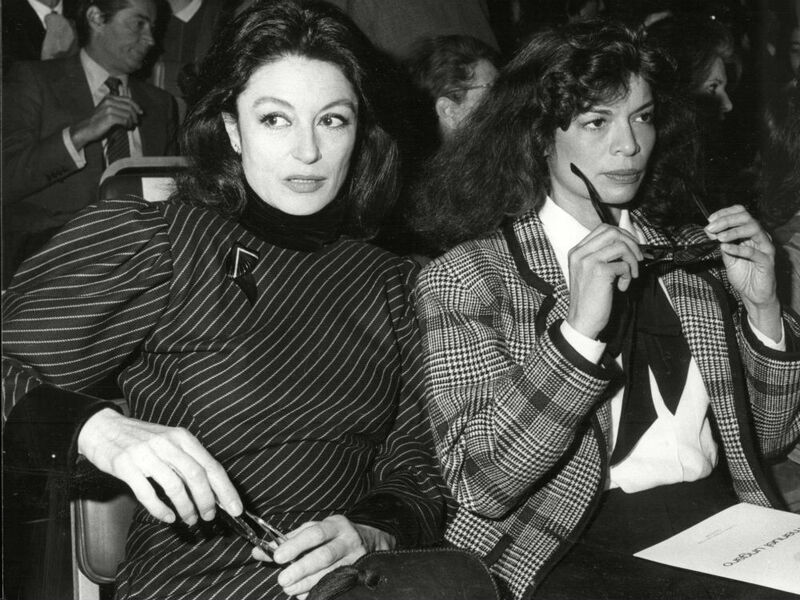 See Jagger here with actress Anouk Aimee at a Chanel show in Paris in 1984. Tartan jacket…Must.Have.Now. 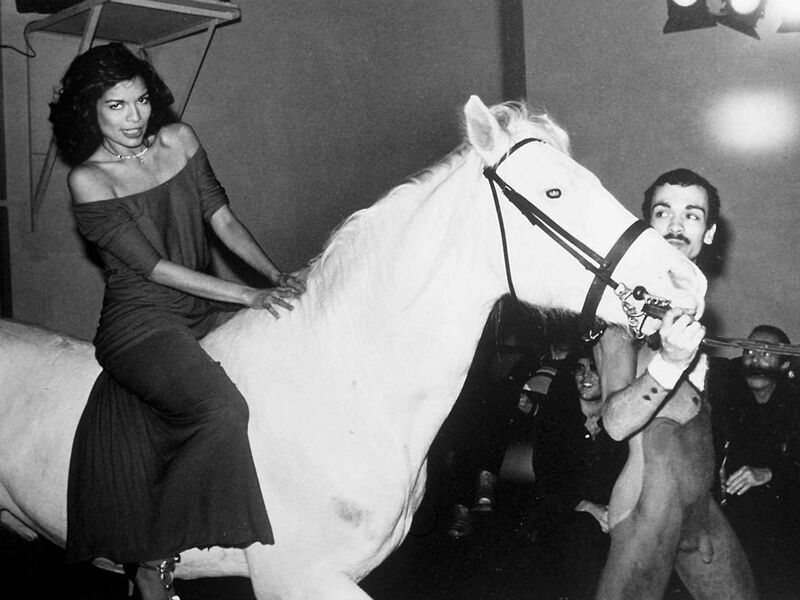 Stand out in a head-to-toe white tuxe a la Bianca Jagger in the late seventies.